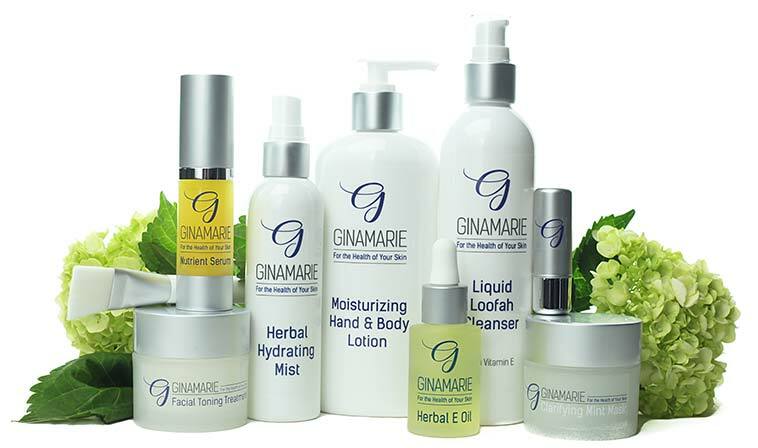 The mission of Ginamarie Products is to educate individuals on caring for their skin through our effective simple, holistic skincare and clean cosmetic line. Inspiring true beauty and enhancing that which lies within each of us, is at the heart of our company. Our skincare line was developed by Filomena Arends in 1978 who has over 60 years of experience in the beauty industry. When formulating our product line she made the decision to name the company after me, Gina Marie, her only daughter. My mother’s passion was to educate others about the health of their skin from a holistic perspective. She formulated our skincare line to be compatible with the skin as an organ. Our products are pH balanced, water-based, gentle, antioxidant rich, and made with naturally-derived ingredients without animal testing. Since taking over the business I have continued to follow in her footsteps with her guidance. It is my mission to teach others to see their true beauty with our effective, simple, holistic skincare and clean cosmetic line. With so many products on the market, Ginamarie has found its niche by specializing in the professional and consumer education of skin and having a personal relationship with our clients. We are able to do this through our website, skin therapy center, customer service, and our selective wholesale associates. My mother developed Ginamarie Products over 40 years ago with the intention of making a difference in the lives of others. She accomplished this through personalized skincare products and professional treatments aimed at improving the health of our clients and their skin. It is with great pride that I can say our commitment to providing our clients with the finest skincare and clean cosmetics continues in the Ginamarie Product tradition. Gina Marie McGuire is a licensed esthetician, president of Ginamarie Products and Continuing Educations, Inc. She has over 30 years experience in the skincare industry and has been educating professionals and the consumer for the majority of her career. Gina Marie’s philosophy on caring for skin has always been from the science point of view opposed to the marketing side of skincare. Her approach in understanding and caring for skin is from a holistic perspective. She feels strongly that when treating skin from the health standpoint, the results are amazing. 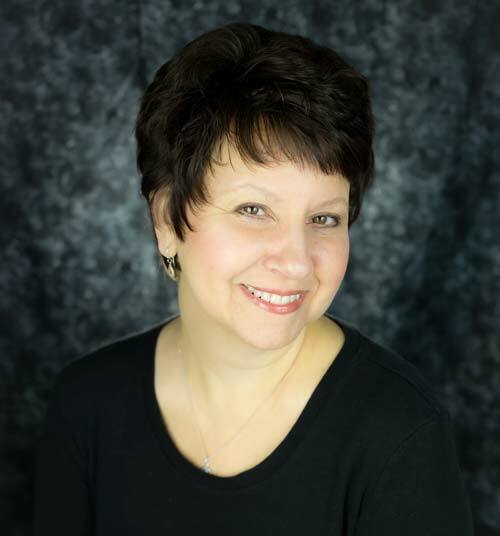 Gina Marie brings a wealth of information to the classroom as she has extensive experience in retail, manufacturing, wholesaling, public speaking, educating, marketing, and skin therapy treatments. She is considered a leading expert in the skincare field and has a strong desire to share her wealth of knowledge in the advancement of the beauty industry. As a result of her leadership, Gina Marie was nominated for the 2019 Aestheticians’ Choice Award for Brand Educator and has been featured several times in professional skin magazines. Furthermore, Gina Marie has been asked on multiple occasions to share her insight at local and national conferences for professionals in the industry and consumers alike. Gina Marie owns and operates Ginamarie Skin Therapy Center, Continuing Educations, and the corporate headquarters in Mokena, IL. Her company is an approved sponsor for license renewal in the state of Illinois which offers a variety of classes and workshops for advanced training purposes as well as 38 home study courses are available for continuing education. The Ginamarie Skin Therapy Center provides holistic spa services to improve the health of skin and Mini Beyond Beauty Care Workshops ensuring clients have everything they need to feel confident and beautiful. Recently in 2016, the GM Girl’s Internship Program was launched. This innovative platform utilizing social media is designed for high school, college girls and young women in the workforce. The GM Girls share their expertise on skincare, cosmetics, and lifestyle through the Ginamarie website’s beauty blog for the sole purpose of inspiring what true beauty really means. In addition to the GM Girls’ Internship Program, the Glam Camp was developed for younger girls to inspire adolescent minds on what it means to be strong, beautiful, confident young women. Gina Marie has made it her mission to educate, to inspire and to ultimately make a difference.